For all professionals who live for capturing special moments: MKE 2 digital delivers the studio-quality sound – at a level, which not long time ago was only possible with far greater expense and effort. 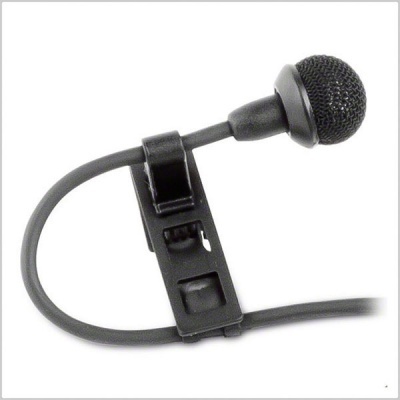 The MKE 2 digital is a professional quality broadcast microphone. It gives voices more depth and presence and captures fine nuance in each situation. The fact that key metadata and markers are directly adopted when transferring data to editing programs also makes the workflow easier. There are special situations in life that are not likely to happen again. These moments are when we need technology to work in perfect harmony with our lives. For this purpose, MKE 2 digital provides technologies that professionals can rely on. The MKE 2 is a legend in live performances; it has proven itself as a worldwide industry standard on Broadway, television and professional news gathering. Thanks to its rugged housing and its ultralight Umbrella Diaphragm (TM), it is protected against dampness and remains durable in any situation. 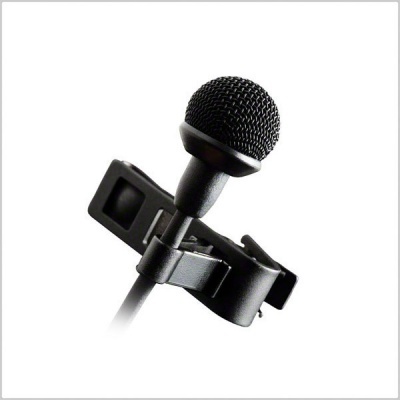 The wind deflector is supplied as a metal and foam protection variant and can also be combined for optimal recordings. For the MKE 2 digital, the Apogee experts have developed a special A/D converter that goes far beyond the possibilities offered by previous solutions. 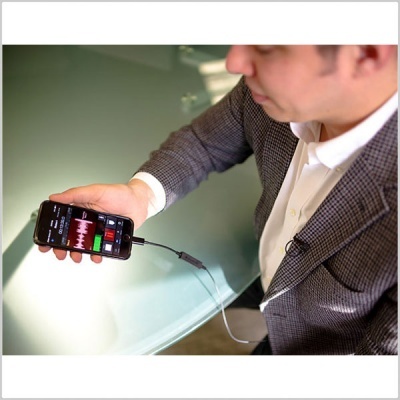 A 96 kHz/24 bit data stream delivers the highest audio quality to your iOS device. 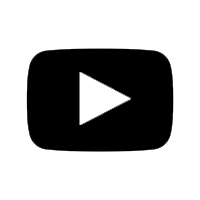 MetaRecorder does not only save recordings but also simplifies both the handling on the spot and the subsequent synchronization – including XML files for Final Cut Pro. 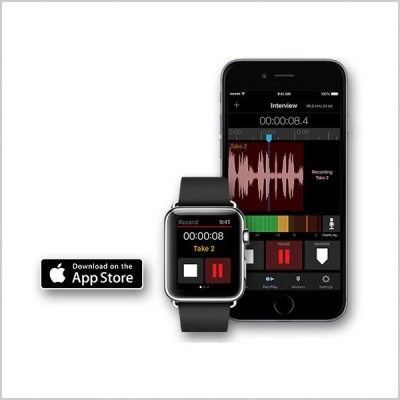 And for those who prefer working with other recording or film apps, the Maestro app can be used to control the finest details of the microphone and recording. 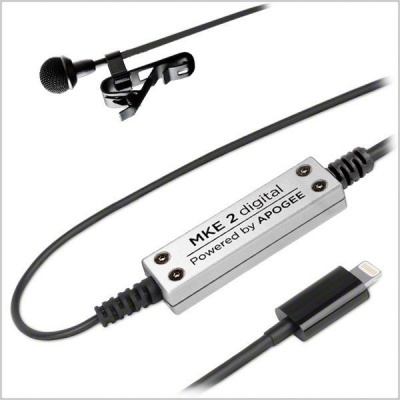 The MKE 2 digital uses the lightning connector, thus saving the high-quality data stream directly in your iOS device. 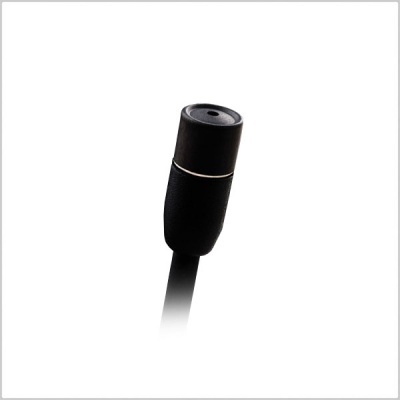 This leaves your headphone connector free to be used to monitor what you are recording.